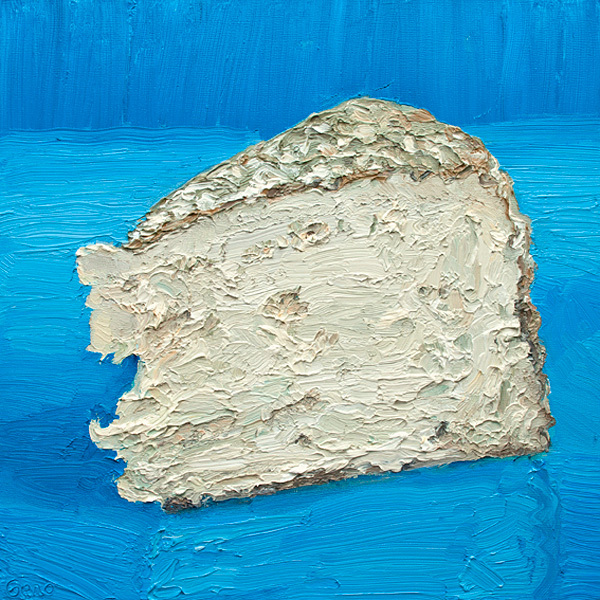 Mike Geno paints food. 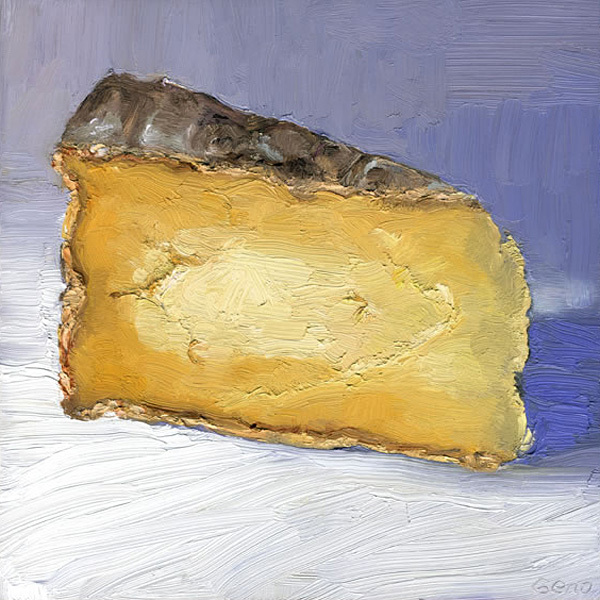 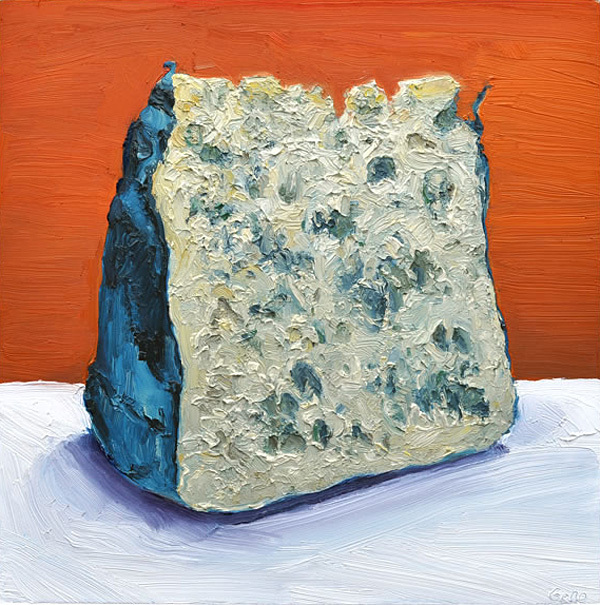 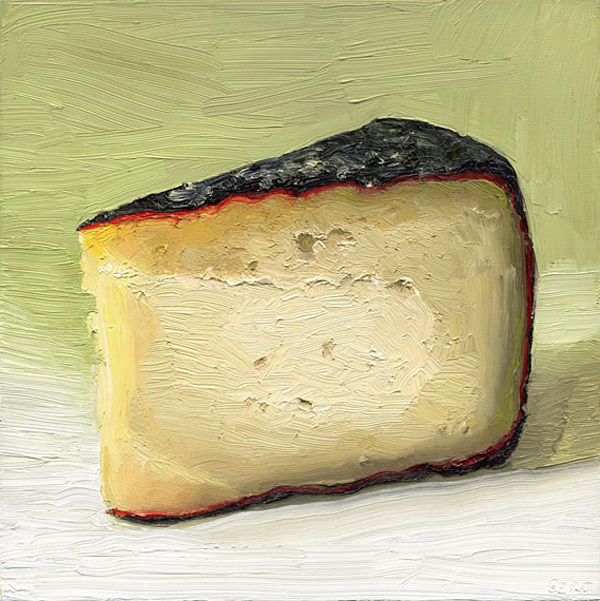 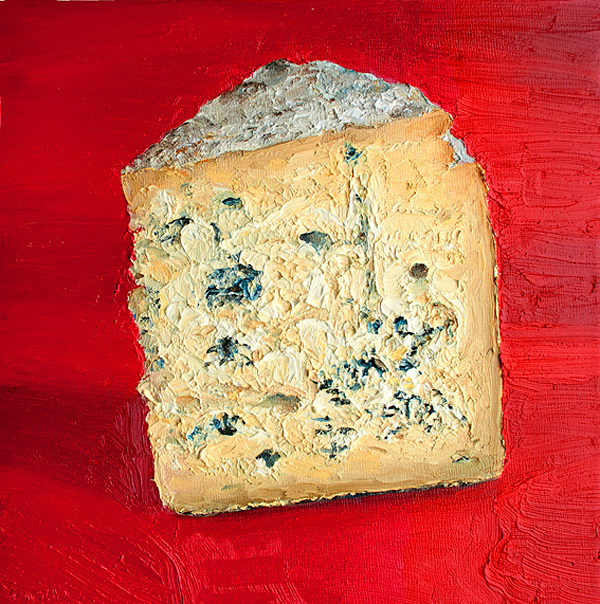 He has recently gained some media attention for his paintings of cheese from around the world, which he started in 2011, after buying a wedge from a local cheese shop. 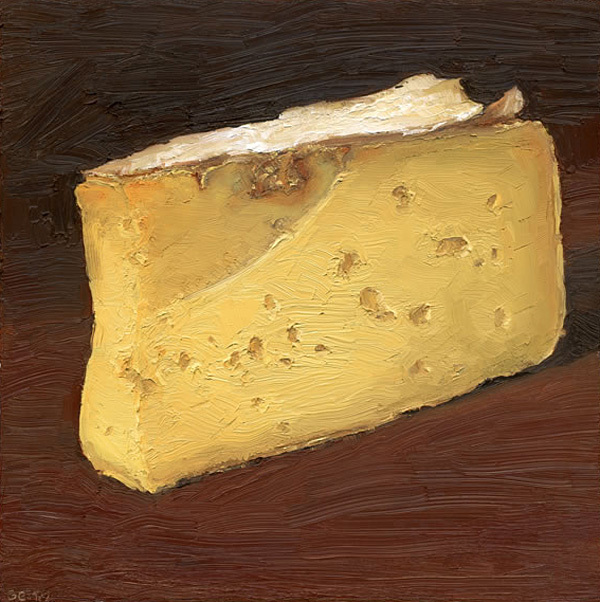 When I received a gift card for a beloved local cheese shop (Di Bruno Brothers), I spent it all on a hefty wedge of Gorwydd Caerphilly with no knowledge of cheese at all. 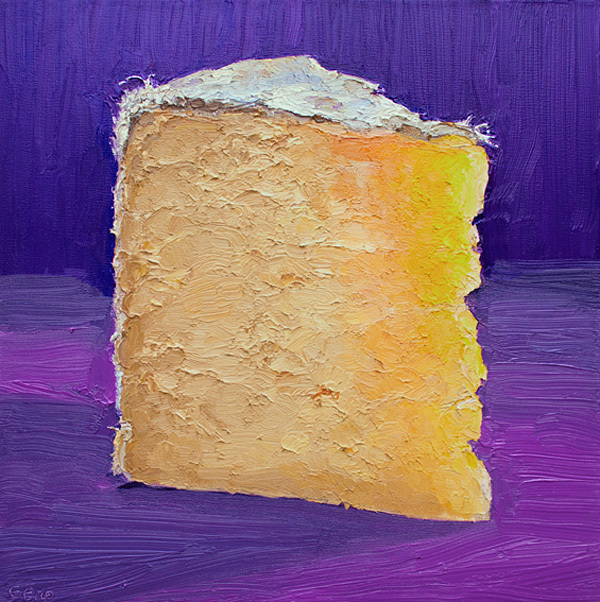 The texture and color was so beautifully cake-like, I found the greatest urge to paint it when I opened it up at home. 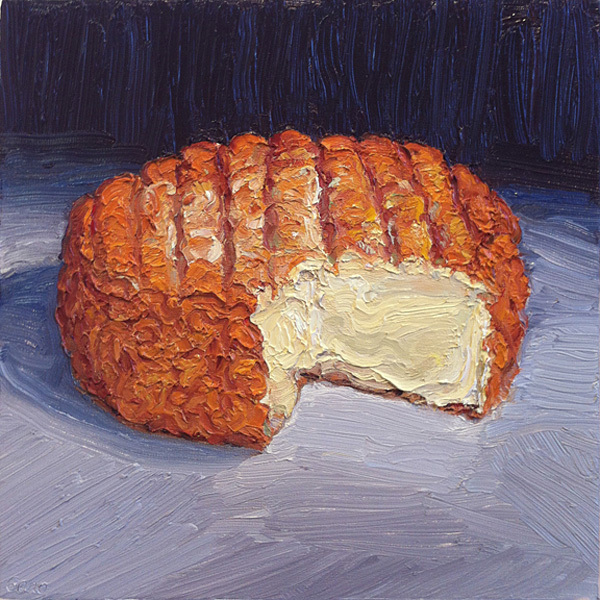 That was my initiation to this incredible world of cheese.